Blackjack is a card game which is so easy to understand. You will have some cards, then you can be able to watch one of the cards of the dealer and you can choose your next steps like the hit, double down, stand or something else to do like split. 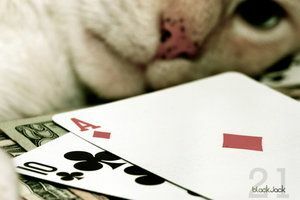 You have to make the exact decision from your cards and dealer's card and only a good call will make your win on the game. The strategy of this game is a combination of rules what is based on the card combination or card counting. Three tables are used to represent rules of blackjack. From first table you will learn about the splitting rules if you have two similar cards. From second table you will learn about soft hand and what will you do when you have that. That means you have an ace and that will be valued as 1 or 11. From the final table you will learn about other options like if you don't have to splitting or you don't have a soft hand then you have to do something other than the above. So, as you are playing blackjack first you have to check the 1st table and make a decision about splitting your cards. If you want to split your cards then do so otherwise to go table number two where you can check that either you have ace or not. If you have an ace and total point is under 21 then you have a soft hand and make your decision. If you can't make the decision and you have a hard hand then use the help of third and last table. The basic strategy is to learn and memorize the 3 tables and use all the rules when you play the game. 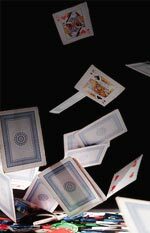 What is the Effect of Varying Rules of Blackjack? You can find many new rules to play blackjack in different casinos or places but the main rules are same only a few simple rules are added or deleted. The main difference you will find is the number of decks. Other changed can be found like the dealer hitting on soft 17 or splitting allowed after double called. You can also find some games where you can call double on positive totals. These are simple and small variations and it can affect the basic rules slightly. Besides, different blackjack types have different blackjack bonuses. So as we said, the differences are only in a few sectors but the main rules are still remains strong. You just have to know the basic rules very well then before playing in an unknown place just learn about their rules first.